James Gallup (Benadam6, Benadam5, Benadam4, Benadam3, John2, John1) was a son of Deac. Benadam Gallp and his wife Bridget Palmer who were my 5th great grandparents. James is buried next to his mother. 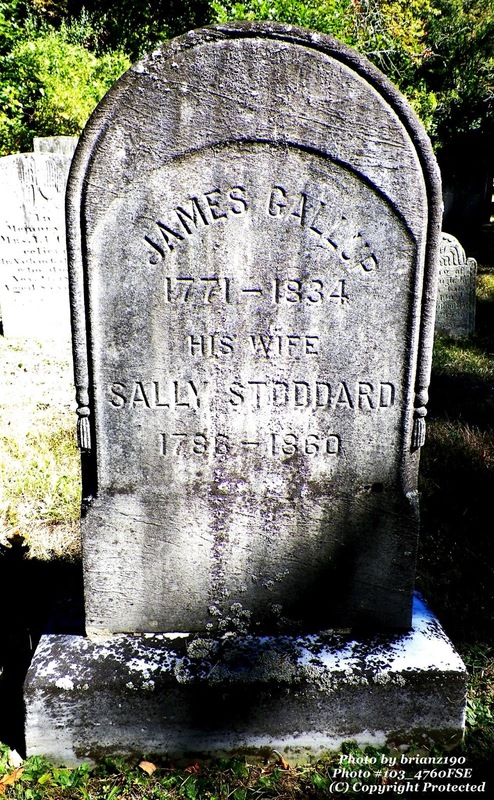 This gravestone is so plain and the information so little that I was suspicious that James and his wife Sally had no children. The next grave to James is his brother Simeon who died unmarried in 1836. 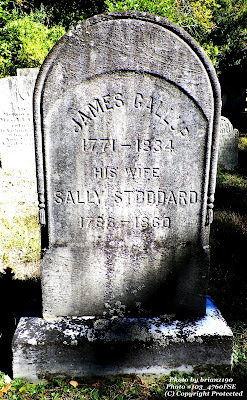 James (#1305 p. 177, 310) was born on 27 May 1771 and was married to Sally STODDARD in 1786. He died 11 May 1834. His wife also has little information but she was born on 15 Nov 1796 in Litchfield, CT and died (from the mortality schedule) of dropsy on 12 Apr 1860. After some searching, I found the Barbour index for Litchfield and discovered her birth date and her parents names and marriage date listed as Vol 2 page 87. They were Gideon STODDARD and his wife Anna KILBORN. I would like more evidence than just that, however. What is interesting is that James left a three page will with a great inventory which is quite readable. This couple owned a lot of belongings. He left to his brother, Simeon Gallup, his best hat and land that was a salt marsh on Six Penny Island, an island off the coast of Groton and Mystic, CT and left to his nephew Albert Haley (son of his sister Lucy GALLUP and her husband Steven HALEY) his writing desk. This will dated 21st Jan 1834, may indicate that he had an illness except that his signature is clear and not shaky. He left to his wife, among the household items, a brown Mare and riding harness. It is one of the better wills and probate I have seen. Love reading the wills and what is giving, chuckled with best hat. When you posted picture of tombstone I like that you recorded where it is. Did you personally ask picture taker if you could use photo of tombstone or if on find a grave it is open to take. I am asking for myself so know correct procedure for future pictures. 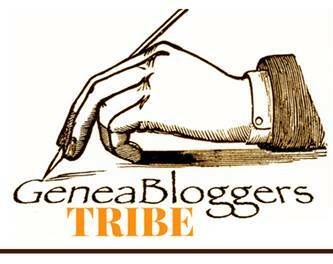 Enjoyed reading will look at more of your postings.